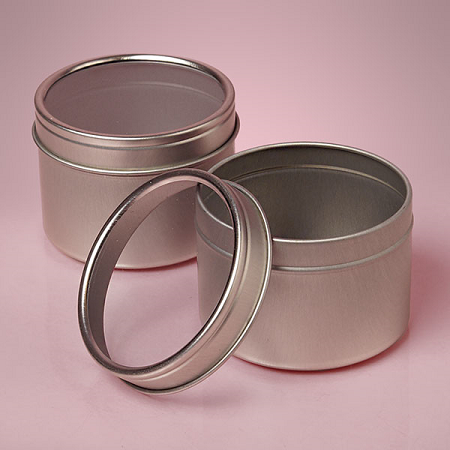 These two ounce Windowed Round Tins are an exceptional choice for favor containers. 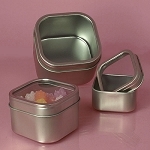 Silver in color with a clear top this tin is beautiful simplicity all on its own. Add a little ribbon or label as well to spruce it up as well as the contents. 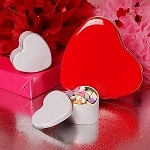 Colorful jordan almonds offer lovely pastel colors or Sixlets come in many colors that show through the lid. 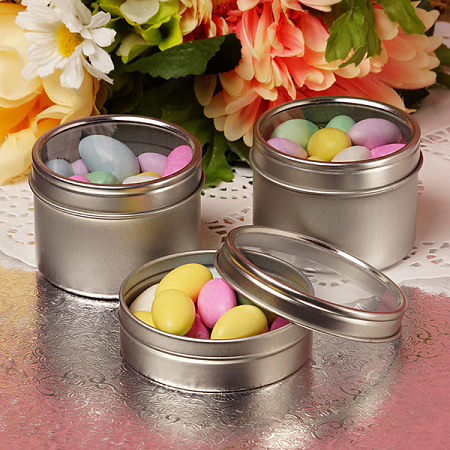 Show off luscious sweets in these window top round tins. Order yours today!